People who travel with pets, specifically dogs, may know the frustration of finding a decent system for keeping their pets and luggage safe in the rear hatch. Here’s how Travall is the solution for these pet owners. Striking the balance between protecting your car and making good use of all the rear space typically requires something built specifically for your vehicle. Universal fits may work, but they often don’t fit quite right. Travall is a UK-based company who has been making specific-fit guards and dividers since 2007. Travall is made up of outdoor enthusiasts, vacationers and passionate dog owners. They use their personal experience to create some of the most useful, specific-fit products. The products that you can find from Travall have been designed for each individual model, right down to the spec changes for different years. Specific-fit products are formed around your vehicle’s shape, so they install tight, with no weird gaps for pups to sneak through or french fries to get lost in. With this snug fit, you get the most from the protection a guard, liner or mat provides. By building to specific-fit, Travall is able to provide space solutions that are optimized for your vehicle. 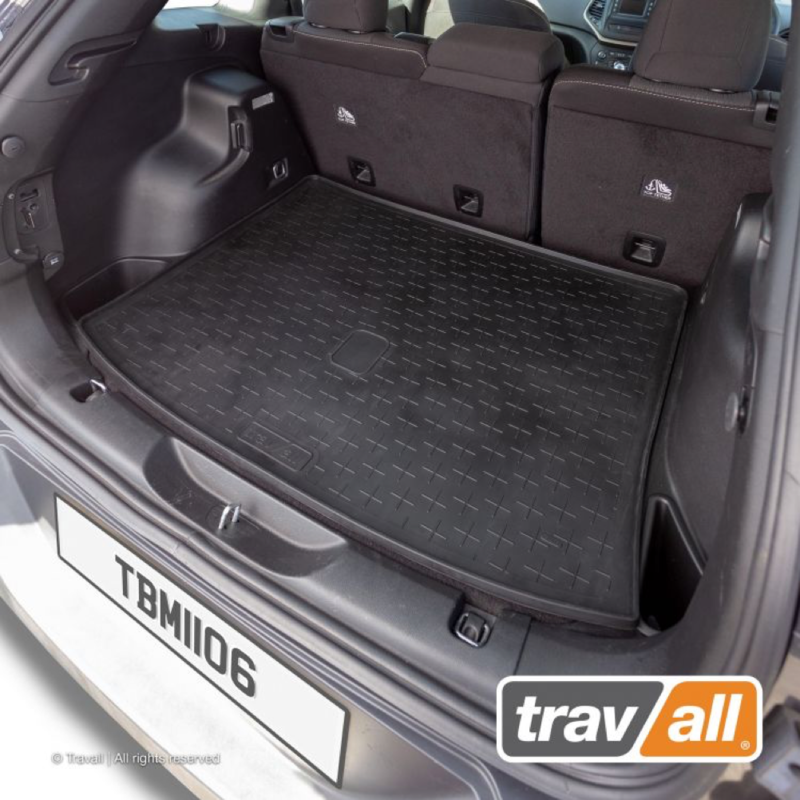 Travall guards are designed to separate the space in the rear and the passenger cabin up front. They’ve perfected the at-home installation with a super easy install that requires no need for tools or modifications to your car. The Guard helps reduce distractions by keeping items or dogs secure in the rear, improving the safety of your journey. They’ve been made with rubber end caps and no sharp edges and feature a non-toxic, bite-resistant coating to make sure those teething puppies are kept safe. 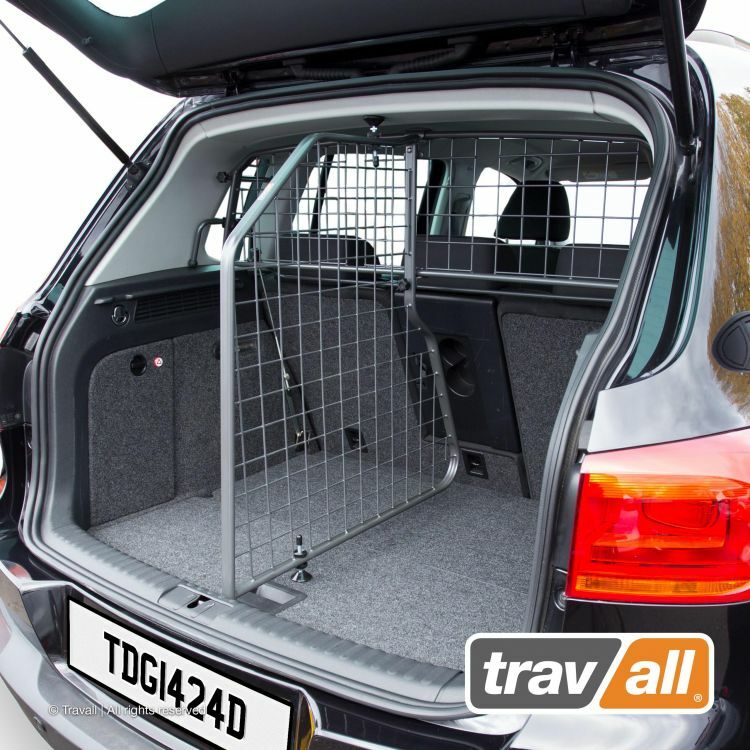 Travall guards are a practical way to increase the capacity of your trunk, and to keep your dogs and other items securely positioned. Combine a Travall Guard and Travall Divider when you’ve got a full trunk and need to keep some items separate. The Divider can split your trunk 50/50 or even 40/60 (depending on the model), giving you two separate compartments that can be used for whatever you need! Installing the Divider is just as easy as the Guard, typically done in less than five minutes. While Travall Dividers can only be used with a Travall Guard, they can be removed as easily as they’re installed. Dividers are made with the same clean, burr-free design that won’t catch or cut, and have that same scratch-resistant powder coating so they’ll continue to look good. Made to the same high quality standards as the Travall Guard and Divider, Travall Mats and Travall Liners are durable, weatherproof, and easy to clean. They’re made of a flexible rubber compound that features an anti-slip surface pattern to prevent your trunk items slipping and sliding around. They’ve also developed a handy outer raised lip to contain any spills, dirt, or hair on the Mats and off your interior. Travall products are a great addition to make sure all your adventures are hassle free. 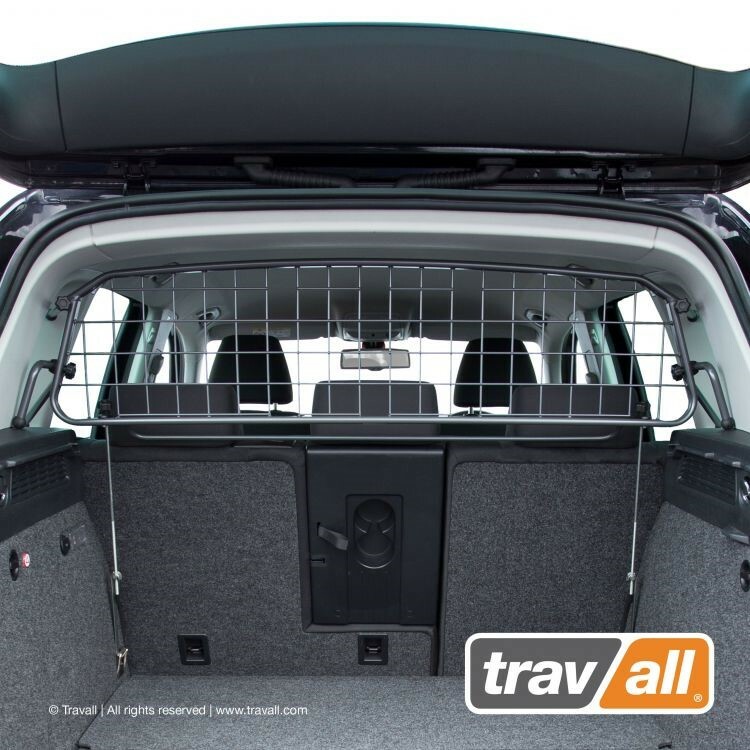 An innovative way to add load capacity and protection to the interior of your vehicle, Travall has also created a secure space to bring your canine friend along for the ride. Head over to Travall.com to find your vehicle’s products today.